The Bosch Tool Case with Ixolino is jammed pack with all the tools any good workman would need. All the pieces come in green/grey and are ergonomically designed to fit comfortably in children’s hands for easy handling. 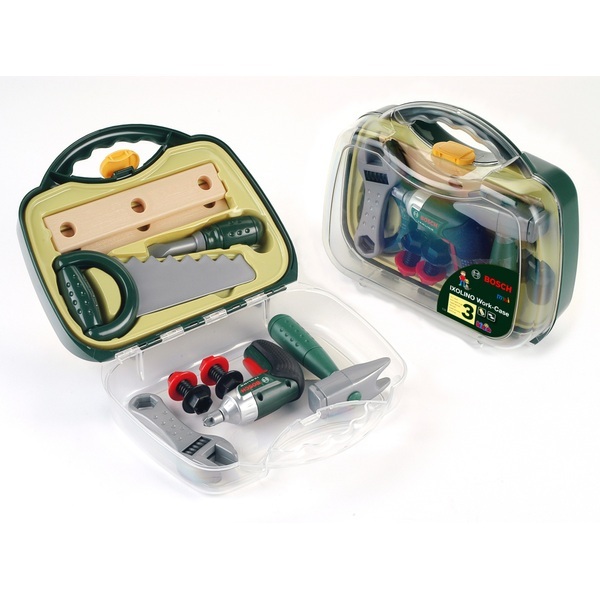 Includes Bosch Ixolino screwdriver and many accessories such as saw, hammer, pair of pliers, spanner and much more.